Is Canon's 12.2-megapixel entry-level DSLR a worthy successor to the EOS 1000D? Canon has long catered well for the entry-level digital SLR market. Canon's EOS 300D was the first digital SLR available for under £1000 and as technology has advanced, its cameras aimed at this market have been made cheaper and more compact, whilst still sporting a decent array of features. In fact, the features on offer with this camera's predecessor, the EOS 1000D, were so good that Canon hasn't felt the need to replace it for around three years. This is quite a long stint for any digital camera in Canon's range, as most are tweaked or overhauled much sooner. So why have we had to wait so long? 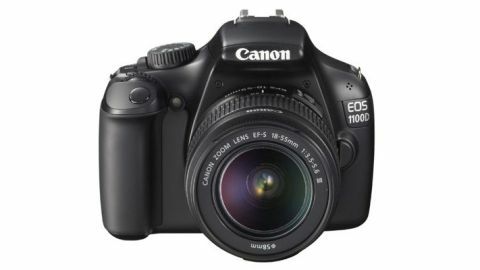 It is probably due to the fact that the Canon 1000D still represented good value and was still very popular with those on a budget. That is until very recently, as the range of features it offered were never too far off the next model in line for a more palatable price. Canon's recent announcement of the EOS 600D, with its 18 megapixel CMOS sensor, swivel screen and full HD video recording facility, DIGIC 4 processor and 14 bit RAW output has obviously changed matters somewhat.